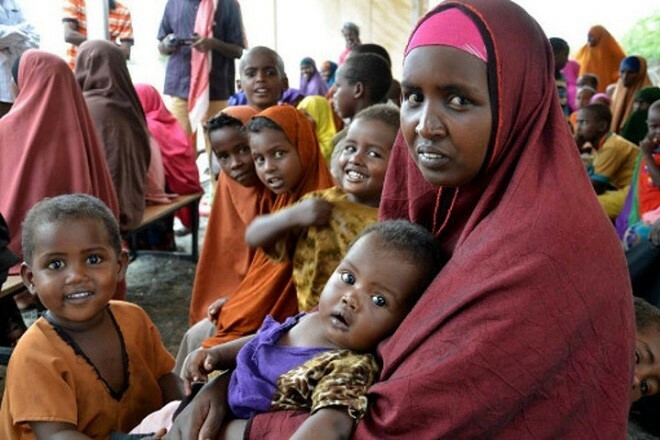 While in Somalia, or in refugee camps, mothers experienced on average of 24 traumatic events including forced separation from a family member and loss of basic necessities (e.g., no food, water, shelter) — 15% of those mothers had also experienced torture. The trauma experienced by the mothers had a strong relationship to their current post-traumatic stress symptoms such as feelings of guilt for having survived as well as detachment, withdrawn, jumpy, and easily startled). Additionally, those women who had a history of torture was integrally linked to their current feelings of depression and anxiety. The children in the study were an average of 10 years old. Most of these children were born in the U.S. (75%) while 10% were born in Somalia and the remainder were born in Yemen or other African countries. Children completed questionnaires about their current symptoms of depression, as well as their experiences here in the U.S. with racism and peer victimization (i.e., peers punching, kicking, or making fun of them). Interestingly, the mothers’ torture history and number of traumatic experiences were not related (or only moderately related) to their children’s feelings of depression, perceived racism and peer victimization. Instead it was the extent of their mothers’ post-traumatic stress, depression and anxiety to be strongly associated with their children’s outcomes of depression. When considering all factors simultaneously, results showed the mothers’ history of torture, in particular, was related to the mothers’ depression, which in turn, then was related to their children’s own depression. This corroborates the results of other studies which found an “intergenerational transmission of trauma” effect among the children of war-traumatized mothers, with the current results suggesting that a mother’s depression is a key “transmission factor”or mechanism which passes the effects of traumatization from mother to child. This study helps us understand how the traumatizing war and refugee experiences affect the health and well-being of mothers and their children.